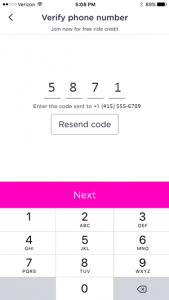 First-time Lyft users receive $5 free ride credit when using a promo code. Click the Sign-up button below to apply and get a discount toward your first Lyft ride. Earn $5 Lyft credit when you sign up. Promo code applied automatically. If you’ve already signed up, downloaded the app, but haven’t taken a ride. Simply insert the promo code in the Payment section of the Lyft app to get your first-time Lyft user discount. See the step-by-step instructions below. Unfortunately, discounts for existing Lyft riders are hard to find. Below are a few tips on finding coupons for existing riders. You earn free rides when you refer friends or family members to use Lyft. Go to the “Free Rides” section in your Lyft app to find your referral code. Ask your friends and family to apply your referral when they create a new Lyft account. 2. If you’re attending a special event, visit the event or venue’s website for special offers. Get a discount on your first Uber ride with promo code. 1. 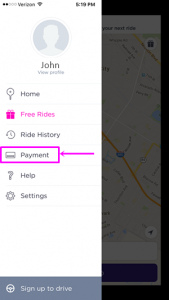 If you do not have a Lyft account, click on the “Claim Lyft Credit” button above to begin. 2. Download the app as prompted. 4. Immediately you will receive a text message with a verification code. 5. Enter the verification code in app. 6. Once your phone is verified, you will be prompted to enter your name and email address. 7. Your new account is created. You can request a ride right away. What to do if you have already download the app? 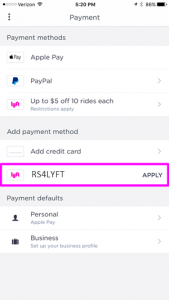 If you’ve already signed up and downloaded the app, but have not taken a ride, insert this code, RS4LYFT, in the promo code section. 1. Download and log on to the Lyft app on your smart phone. 2. Click on the head icon in the upper left corner. 4. 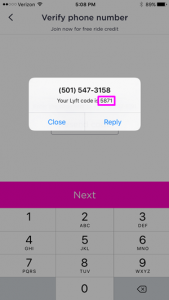 Enter promo code: “RS4LYFT” in the “Add credit code” field. Then click “Apply”. Receive $5 ride credit towards your first Lyft ride when you create an account!